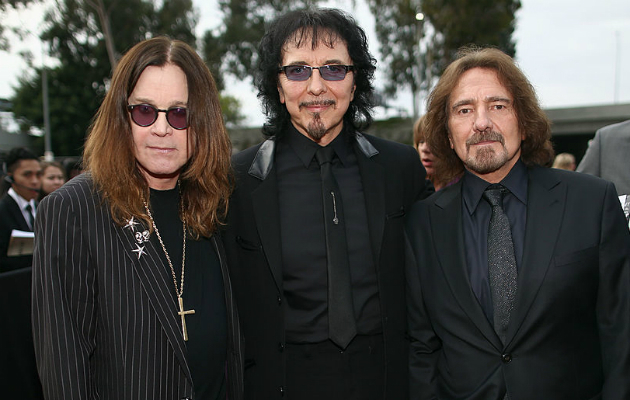 Black Sabbath‘s Tony Iommi has said that he wants to bury the hatchet with former drummer Bill Ward. The sticksman fell out with his former bandmates over alleged contractual issues surrounding the group’s 2015 reunion tour, and refused to hit the road with Iommi, Geezer Butler, and Ozzy Osbourne. Their feud with Ward dates back to 2012 when, after making a public appearance stating he would be part of the band’s reunion, the drummer backed out. He has always claimed it was an issue with his contract while frontman Ozzy Osbourne stated Ward was overweight and physically unable to tour. But now guitarist Iommi is keen to make amends as the band prepares for the two final shows in their native Birmingham Genting Arena on February 2 and 4. Osbourne also recently revealed that he thinks Lemmy is watching over him and keeping him safe. Over the weekend (January 28), former Black Sabbath keyboardist Geoff Nicholls died aged 68.